ATLANTA, March 19, 2019 /PRNewswire/ -- Kamado Joe, the innovative manufacturer disrupting the ceramic grill category, announces the launch of two new kamado-style grills: the Classic III and Big Joe III. The much-anticipated III Series grills are the first to feature the company's breakthrough hyperbolic smoke chamber, dubbed the 'SlōRoller.' 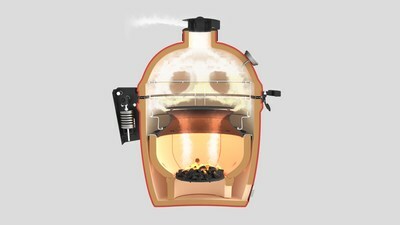 The innovative chamber was developed by a team of Harvard researchers, and maximizes smoke flavor and heat distribution by changing internal pressure to create optimal cyclonic airflow inside the grill. The new Classic III (MSRP: $1,599USD) and Big Joe III (MSRP: $2,399USD) will be available at retail partners across the globe. "We are continuously challenging ourselves to build the best grill ever made. The III Series is no exception. We used the best materials, world-renowned science, and top global partners to deliver grillers a ceramic style grill that outperforms anything on the market," explains Bobby Brennan, CEO of Kamado Joe. "It's not just new — it's scientifically better." Built with technology never before used in the grilling industry, the SlōRoller leverages patented science developed by Desora, a team of Harvard researchers that set out to transform a kamado-style grill into one of the world's most optimal smokers. The SlōRoller's hyperbolic technology fundamentally changes the airflow pattern inside the grill, causing smoke to revolve around food five to 20 times more than other grills. By distributing smoke and heat in rolling, recirculating waves, the SlōRoller surrounds food in smoke while evenly distributing heat, resulting in enhanced flavor and up to an 80 percent reduction in hot spots. As with their predecessors, the Classic III and Big Joe III grills also feature a thick-walled, heat-resistant shell that locks in smoke and moisture at any temperature. The easy-open top domes include the counterbalanced Air Lift Hinge and element-proof, ultra-precise Kontrol Tower top vent, while the large cooking surface underneath is crafted from commercial-grade 304 stainless steel. The III Series grills also come standard with the three-tier Divide & Conquer® Flexible Cooking System with Charcoal Basket, the Advanced Multi-Panel FireBox, heat resistant powder coated aluminum side shelves, a heavy-duty rolling galvanized steel cart, and a patented slide-out ash drawer for easy cleaning. In addition to the new grill series, Kamado Joe is also adding to its range of pro-grade grilling accessories. 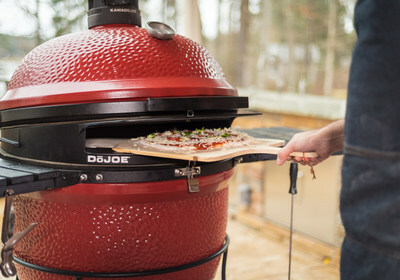 The wedge-shaped DōJoe pizza insert, which converts the Kamado Joe Classic or Big Joe grill into a high-performance pizza oven, creates an optimal environment for perfect crust and crisp toppings. 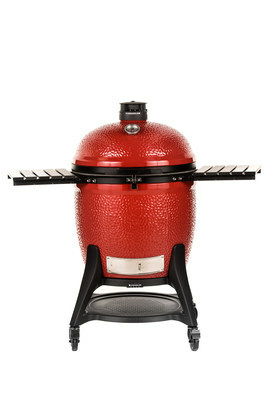 To learn more about the technology and design behind the SlōRoller, as well as Kamado Joe's latest additions to its product lineup, visit kamadojoe.com. 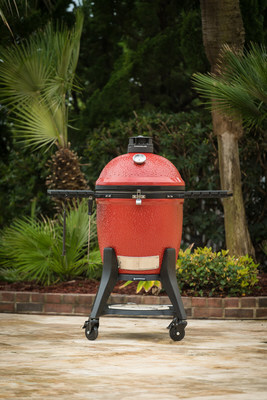 Based outside Atlanta, GA, Kamado Joe continues to perfect the ancient, Asian-style kamado grill. Kamado Joe is proud to have modernized the grill's classic style with unparalleled craftsmanship, smarter features, innovative accessories and a range of flexible cooking surfaces. With the introduction of an expanding portfolio of new products, Kamado Joe will continue to drive outdoor cooking innovation as a market leader going forward. Founded by Harvard University students and faculty to pioneer cooking, Desora is using science, engineering, and proven results to make cooking accessible to all. Empowering users to perfect their cooking, Desora's quality line of products include the iKamand and the SlōRoller for the Kamado Joe ProJoe, Classic III and Big Joe III grills.